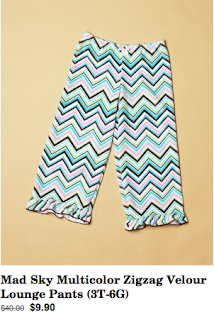 Rue La La Still giving out $10 credits! Rue La La is still giving out $10 credits to new sign ups! They have extended until 12/12! You can get the above pants for FREE since they have FREE shipping as well! (shipping is fast too!) The $10 credit expires at the end of this month. You'll definitely be able to find something cheap or FREE! They have great sections for kids, men, women, they even have a living and travel section! The above is under kids - Little Rue - Mad Sky Boutique. 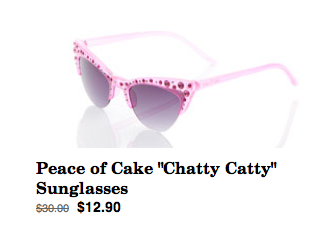 Under Sunny Beach Gear you can find some sunglasses for $2.90 shipped after credit! $9.90 shipped with your credit!! 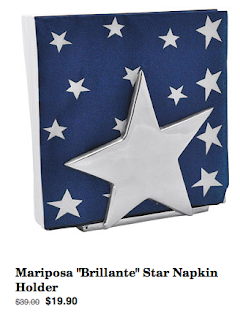 This cool napkin holder is under Mariposa in the Living section. Have fun looking! Make sure to get your $10 credit and use it while there is FREE shipping! 12 more days! $10 credits can take up to 72 hours to post. I can't find how to get free shipping on the pants. Are you talking about "The Rue 30"? It is a promotion for Christmas until 12/21. When you go all the way to checkout are you charged? I can't imagine it's just for certain members. It's definitely different the the Rue 30 because I got the free shipping on my order I made last week but I haven't bought anything in months for the Rue 30 to kick in. Anyone else getting free shipping?? ?